Kwan Tong, Hong Kong – Dec 13th. Youths, workers, community organizers and advocates from the Bay Area WT-No and the Chinese Progressive Association (CPA) met with the Hong Kong Women Workers Association (HKWWA) on the opening day of the World Trade Organization 6th Ministerial Conference. Seven former garment industry workers—three reside in Hong Kong and four in San Francisco—shared narratives of dislocation and age discrimination across national boundaries in the district of Kwon Tong. According to the former Hong Kong seamstresses, they faced shortened work hours and wages, and ultimately unemployment. Many employers only gave Hong Kong seamstresses the work of sewing label in order to fill the quota of having goods made in Hong Kong, when the majority of the garment was produced elsewhere. Other garment employers imposed outrageous demands for multi-skilled seamstresses, knowing that local garments did not meet all the qualifications, which gave employers the excuse to hire cheaper, migrant workers from other regions. Wu Mei Lin, the coordinator of HKWWA, provided the economics and politics of globalization that lead to the dislocation of seamstresses. With the opening of the Hong Kong market during the 1980s, many garment manufacturers moved production out of Hong Kong into mainland China, causing the drastic decrease of garment industry jobs in the city. 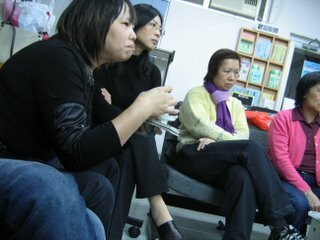 With the higher cost of production in Hong Kong, the abolishment of the Multifiber Agreement (MFA) not only has impact across nations, but its elimination causes the shift of garment manufacturing to regions of China with cheaper cost of production, as garment workers dwindle from 3 million to 20,000 in 2000 in Hong Kong. In paralleling fashion, the end of Multifiber Agreement caused similar dislocation of garment workers in San Francisco. According to Fei Yi Chen, one of the former garment workers and now a community organizer for Chinese Progressive Association, approximately 16,500 San Francisco jobs were lost in the garment manufacturing industry between 1990 and 2000. 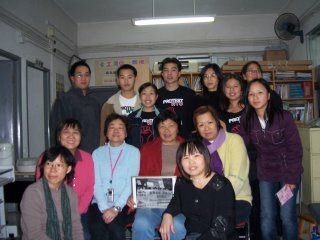 With common struggles to for basic employment rights, garments workers from San Francisco and Hong Kong became involved with community-based organizing: the Hong Kong garment workers with Hong Kong Woman Worker Association and the San Francisco garment workers with Chinese Progressive Association. With campaigns that focus on minimal wage, worker protection, and basic benefits, HKWWA opposes the privatization and outsourcing jobs in Hong Kong, the increase of corporate power, and the decrease of state accountability. The exchange between workers highlighted how worker struggles are not limited to the United States or Hong Kong. The CPA and HKWWA exchange illustrates the need to broaden the discussion around trade and worker rights beyond the benefits to countries. The discussion must analyze those specifically within China and the United States that are benefiting from the WTO trade policies. From the dislocated garment workers in San Francisco and Hong Kong, it is clear the middle age low-wage women workers are caught in the cycle of job and economic insecurity and limited work benefits. Despite their struggles, their narratives and collective organizing also illustrate the solidarity and power of garment workers in reinstituting proper worker’s rights.